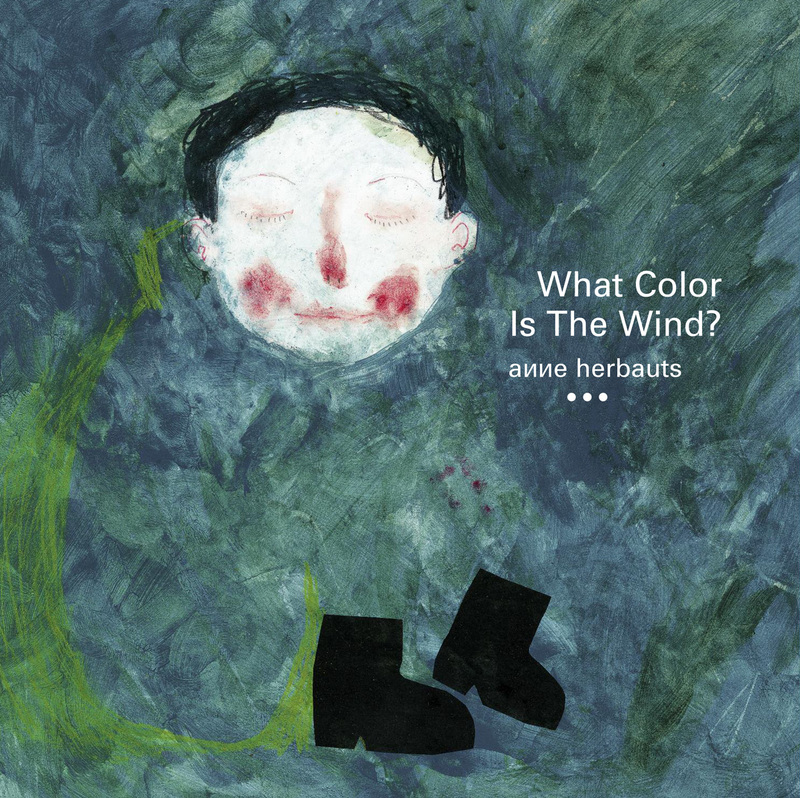 From love to mortality to the lives of Einstein and Louise Bourgeois, by way of silence and the color of the wind. Yet mortality continues to petrify us — our own, and perhaps even more so that of our loved ones. And if the adult consciousness is so thoroughly unsettled by the notion of death, despite intellectually recognizing it as a necessary and inevitable part of life, how is the child consciousness to settle into comprehension and comfort? Now comes a fine addition to the most intelligent and imaginative children’s books about making sense of death — the crowning jewel of them all, even, and not only because it bears what might be the most beautiful children’s book title ever conceived: Cry, Heart, But Never Break (public library) by beloved Danish children’s book author Glenn Ringtved and illustrator Charlotte Pardi, translated into English by Robert Moulthrop. 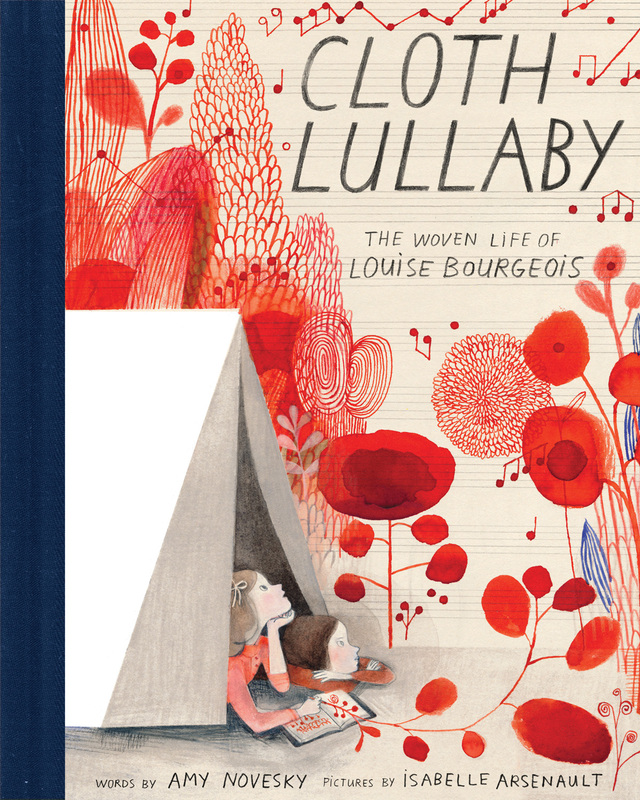 This warmly wistful story begins outside the “small snug house” where four children live with their beloved grandmother. Not wanting to scare the young ones, Death, who has come for the old lady, has left his scythe by the door. Immediately, in this small and enormously thoughtful gesture, we are met with Death’s unexpected tenderness. Inside, he sits down at the kitchen table, where only the youngest of the kids, little Leah, dares look straight at him. What makes the book particularly touching, thanks to Pardi’s immensely expressive illustration, is just how crestfallen — broken, even — Death himself looks the entire time he is executing his mission, choked up with some indiscernible fusion of resignation and recompense. “If you want to concentrate deeply on some problem, and especially some piece of writing or paper-work,” Muriel Spark counseled, “you should acquire a cat.” Long before the cat became a modern literary muse, a monk whose identity remains a mystery immortalized his beloved white cat named Pangur. Sometime in the ninth century, somewhere in present-day southern Germany, this solitary scholar penned a beautiful short poem in Old Irish, titled “Pangur Bán” — an ode to the parallel pleasures of man and feline as one pursues knowledge and the other prey, and to how their quiet companionship amplifies their respective joys. The poem has been translated and adapted many times over the centuries (perhaps most famously by W.H. 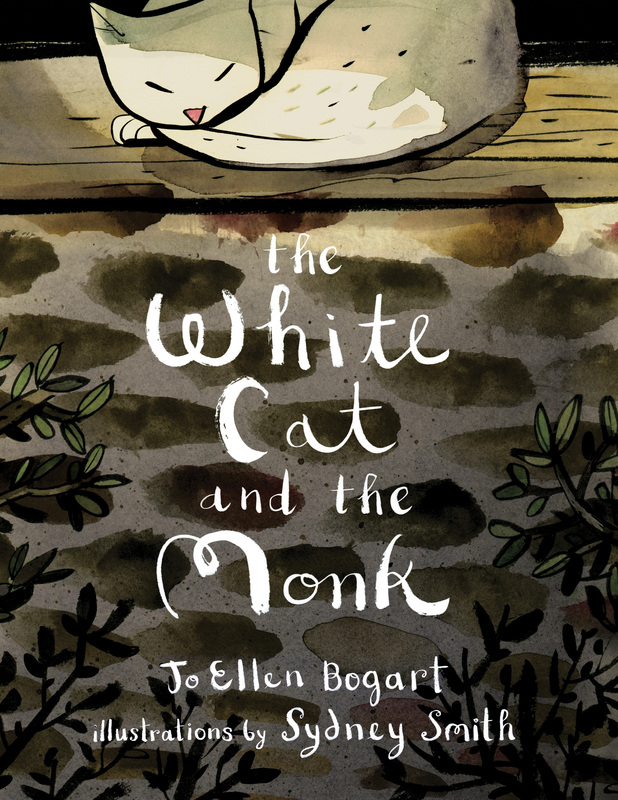 Auden), but nowhere more delightfully than in The White Cat and the Monk (public library) by writer Jo Ellen Bogart and illustrator Sydney Smith — one of four wonderful children’s books about the creative life, which I recently reviewed for The New York Times. Smith, who has previously illustrated the immeasurably wonderful Sidewalk Flowers, imbues the ancient text with contemporary visual language through his singular, elegantly minimalist graphic novel aesthetic. We see the old monk poring over his manuscripts in search of wisdom as Pangur prances around their spartan shared abode, chasing after a mouse and a butterfly. Each is totally absorbed in his task. In a subtle story-with-a-story, one of the monk’s manuscripts contains an even more ancient depiction of another monk and another cat — a reminder that this creaturely communion is a primal joy of the human experience. At the end of each day, the two rest into their respective gladnesses in quiet camaraderie. Written as a playful ode in the ninth century, today the poem lives partway between lamentation and celebration — it stands as counterpoint to our culture of competitive striving and ceaseless self-comparisons, but it also reminds us that the accomplishments of others aren’t to the detriment of our own; that we can remain purposeful about our pursuits while rejoicing in those of others; that we can choose to amplify each other’s felicity because there is, after all, enough to go around even in the austerest of circumstances. “It is almost banal to say so yet it needs to be stressed continually: all is creation, all is change, all is flux, all is metamorphosis,” Henry Miller wrote in contemplating art and the human future. The beautiful Japanese philosophy of wabi-sabi invites us to find meaning and comfort in impermanence, and yet so much of our suffering stems from our deep resistance to the ruling law of the universe — that of impermanence and constant change. How, then, are we to accept the one orbit we each have along the cycle of life and inhabit it with wholeheartedness rather than despair? 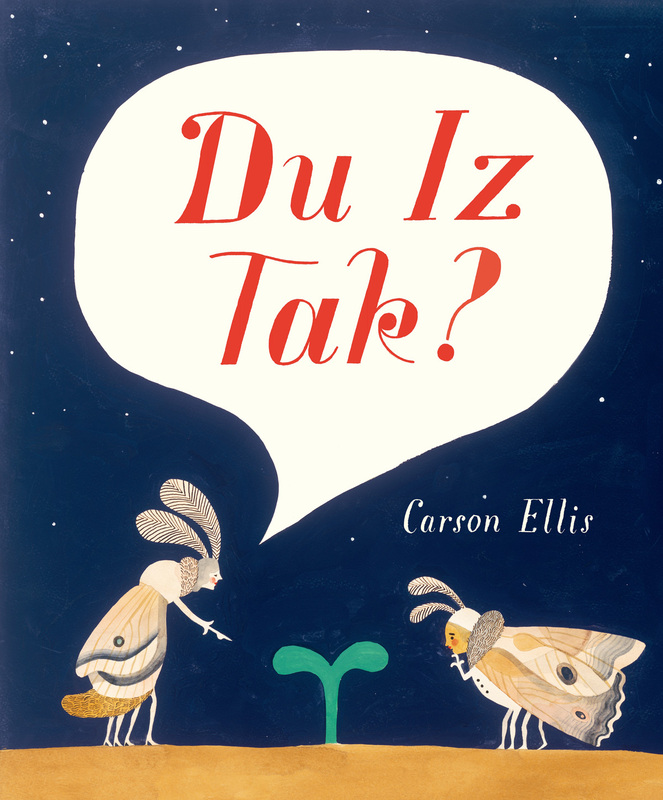 That’s what illustrator and author Carson Ellis explores with great subtlety and warmth in Du Iz Tak? 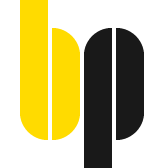 (public library) — a lyrical and imaginative tale about the cycle of life and the inexorable interdependence of joy and sorrow, trial and triumph, growth and decay. The discoverers of the shoot enlist the help of a wise and many-legged elder who lives inside a tree stump — a character reminiscent in spirit of Owl in Winnie-the-Pooh. He lends the operation his ladder and the team begins building an elaborate fort onto the speedily growing plant. But their joyful plan is unceremoniously interrupted by a giant spider, who envelops their new playground in a web — a reminder that in nature, where one creature’s loss is another’s gain and vice versa, gain and loss are always counterbalanced in perfect equilibrium with no ultimate right and ultimate wrong. As the bugs witness the spider’s doing in dejected disbelief, a bird — a creature even huger and more formidable — swoops in to eat the spider and further devastates the stalk-fort. At its base, we see the bugs grow from disheartened to heartbroken. But when the bird leaves, one of them discovers — with the excited exclamation “Su!,” which we take to mean “Look!” — that the plant has not only survived the invasion but has managed, in the meantime, to produce a glorious, colorful bud. As the bugs resume repair and construction, the bud blossoms into invigorating beauty. Drawn to the small miracle of the flower, other tiny forest creatures join the joyful labor — the ants interrupt their own industry, the slug slides over in wide-eyed wonder, the bees and the butterflies hover in admiration, and even the elder’s wife emerges from the tree trunk, huffing a pipe as she marvels at the new blossom. But then, nature once again asserts her central dictum of impermanence and constant change: The flower begins to wilt. The fort collapses and the bugs, looking not terribly distraught — perhaps because they know that this is nature’s way, perhaps because they know that they too will soon follow the flower’s fate in this unstoppable cycle of life — say farewell and walk off. Night comes, then autumn, bringing their own magic as the world silently performs its eternal duty of churning the cycle of growth and decay. The remnants of the wilted flower sink into the forest bed as a nocturnal serenade unfolds overhead before a blanket of snow stills the forest. In the final pages, we see spring arrive with its redemptive bounty to reveal not one shoot but the promise of an entire flower garden. “Du iz tak?” exclaims a new bug who walks onto the scene — a gentle invitation to reflect on where the others have gone as the seasons turned, presenting a subtle opportunity for parents to broach the cycle of life. 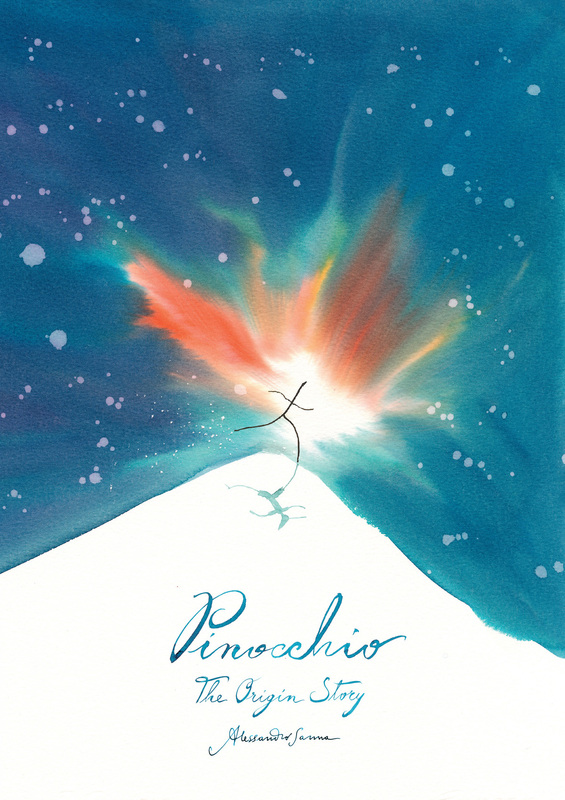 In the astonishingly beautiful and tenderhearted Pinocchio: The Origin Story (public library), Sanna imagines an alternative prequel to the beloved story, a wordless genesis myth of the wood that became Pinocchio, radiating a larger cosmogony of life, death, and the transcendent continuity between the two. Reality is what we take to be true. What we take to be true is what we believe. What we believe is based upon our perceptions. What we perceive depends on what we look for. What we look for depends on what we think. What we think depends on what we perceive. What we perceive determines what we believe. What we believe determines what we take to be true. What we take to be true is our reality. Beloved children’s book author and illustrator Jon Klassen explores this disorienting paradox with great subtlety, simplicity, and sensitivity in We Found a Hat (public library) — the conclusion of his celebrated hat trilogy, following I Want My Hat Back (2011) and This Is Not My Hat. The story follows two turtles who discover a hat together — a very winsome hat, they both feel — and are suddenly faced by a practical predicament: There is one hat to be had, and two of them who want to have it. 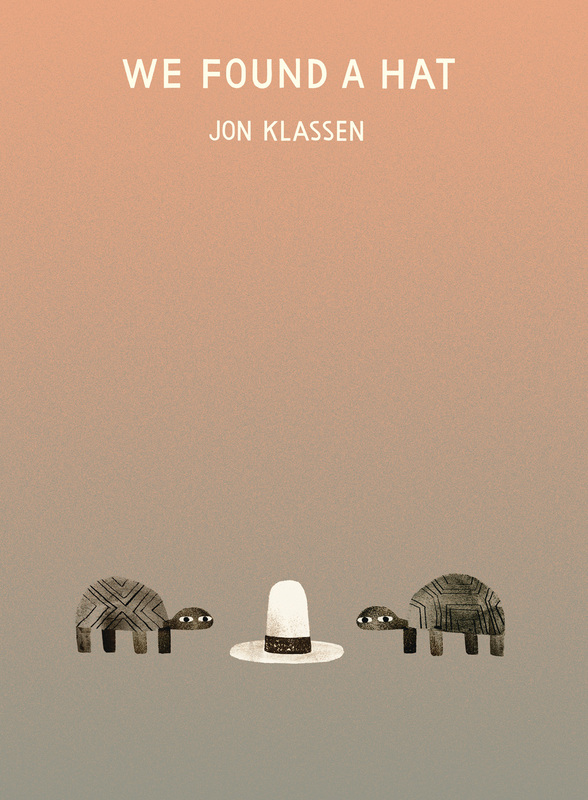 Carrying Klassen’s minimalist, maximally expressive illustrations — entire worlds of emotion and intent are intimated by the turn of the turtles’ black-and-white eyes — are his equally spartan words, which envelop his protagonists’ interior worlds in sweetness and gentleness as he tells this touching story of covetousness transformed into generosity and justice. But there is only one hat. And there are two of us. How does it look on me? It looks good on you too. It looks good on both of us. But it would not be right if one of us had a hat and the other did not. “We live in the word,” Elizabeth Alexander observed in contemplating writing and the self in language, “and the word is one of the ways we have to reach across to each other.” And it is often in learning to live in the word — that is, in those formative years of first understanding how sounds make shapes to make words — that we also begin mastering the art of human connection. 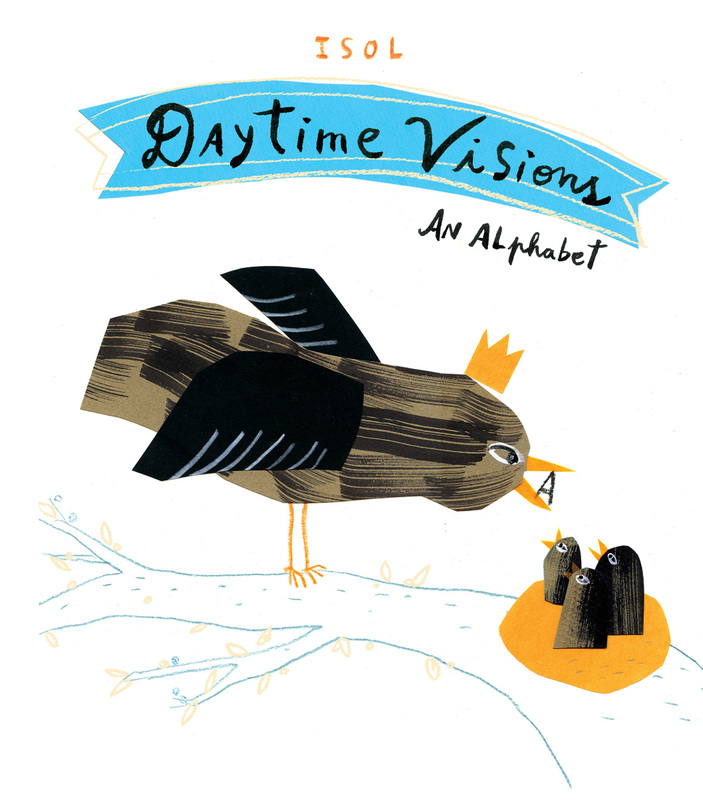 That’s what lends imaginative alphabet books their magic and their singular place in the developmental journey, and among the most imaginative is Daytime Visions: An Alphabet (public library) by beloved Argentinian musician, artist, and children’s book author Isol. Civil rights icon and nonviolent resistance leader John Lewis (b. February 21, 1940) is rightly celebrated as a true “healer of the heart of democracy.” He is also a testament to how the humblest beginnings can produce lives of towering heroism. Long before Congressman Lewis became a key figure in ending racial segregation in America, little John was one of nine siblings living on the family’s farm in southern Alabama. It was in that unlikely environment, heavy with labor and love, that young Lewis found his voice as a leader. Writer Jabari Asim and illustrator E.B. 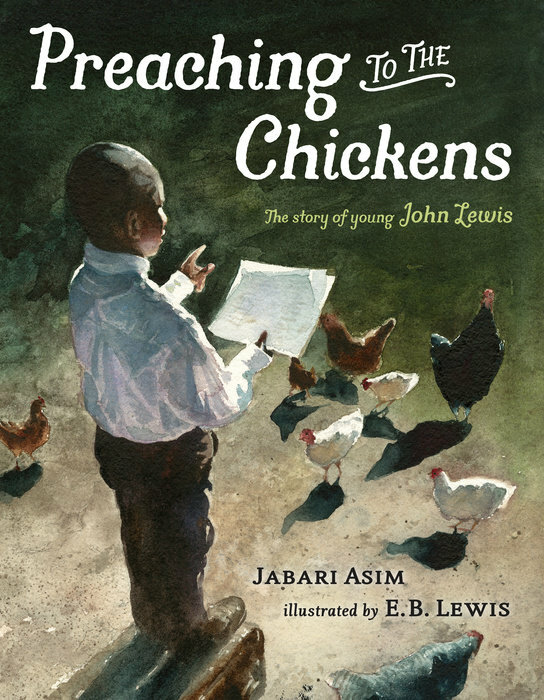 Lewis tell the improbable and inspiring origin story of this largehearted legend in Preaching to the Chickens: The Story of Young John Lewis (public library) — a superb addition to the greatest picture-book biographies of cultural icons. John’s mother cooked the family meals from vegetables she grew — collards, tomatoes, sweet potatoes — and other goodies. She cleaned the family’s clothes in a big iron pot, stirring them in the boiling water and washing them with homemade soap before hanging them on the line to dry. Yes, Lord, plenty of work on a farm. One day, John is put in charge of the chickens and so begins his foray into leadership. 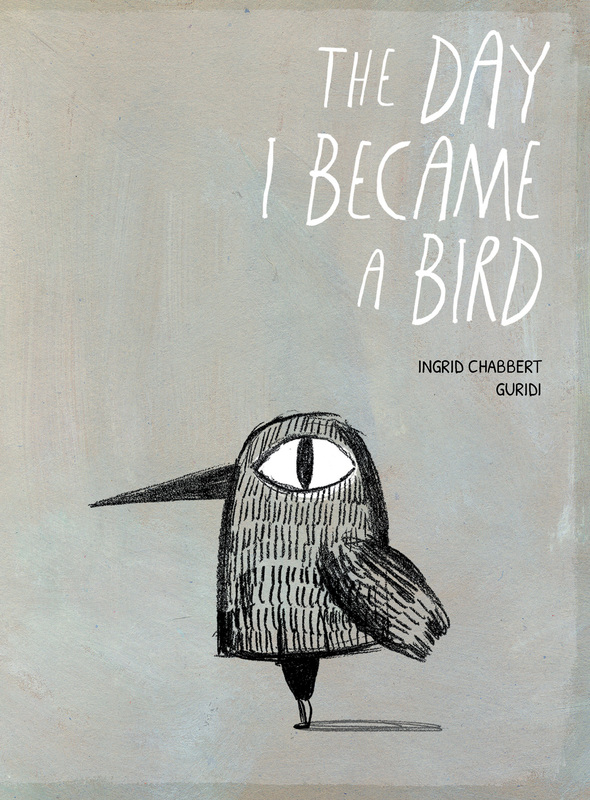 His heart ablaze with the dream of becoming a preacher, the boy begins practicing before his willing — or, at least, tacitly agreeable — avian audience. E.B. Lewis’s luminous watercolors are the perfect complement to Asim’s lyrical prose, which together carry the story of how John Lewis incubated his talent for wielding words that move and mobilize mind, body, and spirit. 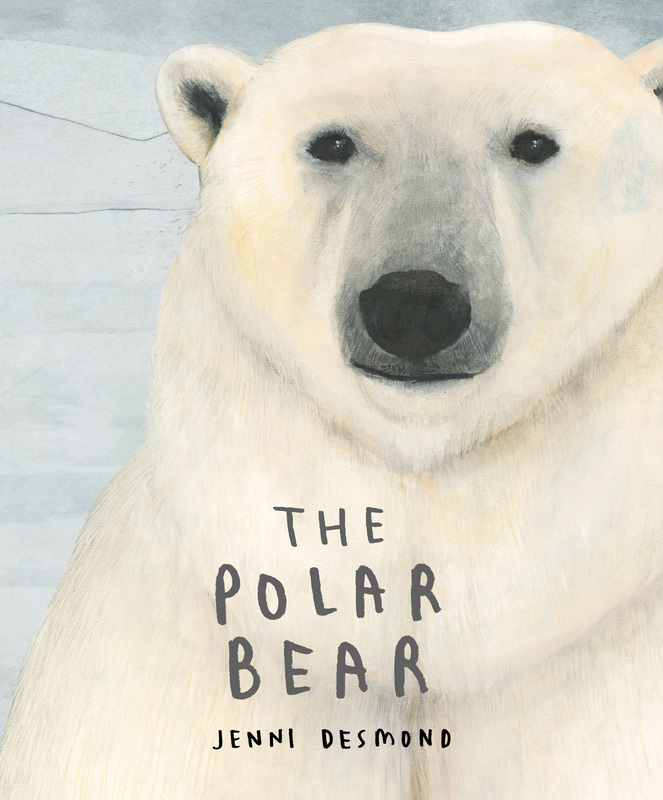 That’s what London-based illustrator and Sendak Fellow Jenni Desmond explores in The Polar Bear (public library), also among the year’s best science books — the follow-up to The Blue Whale, Desmond’s serenade to the science and life of Earth’s largest-hearted creature, which was among the best science books of 2015. At a dinner some years ago, I had the good fortune of being seated next to the great graphic designer and illustrator Seymour Chwast (b. August 18, 1931). A warm but reticent conversation companion, he became, like Oliver Sacks, unusually animated when it came to his creative passions. At one point in the evening, I asked Chwast what his favorite project was from the entire span of his illustrious career. Here was a man whose work had influenced generations of designers and had received just about every imaginable accolade in the graphic arts. So I was both surprised and utterly delighted by his answer, which he offered without hesitation but with a certain wistfulness — an obscure vintage children’s book by Phyllis La Farge he had illustrated in 1971, which had since fallen out of print and sunk into oblivion. The following day, invigorated by curiosity, I set about finding a surviving copy. Victorious at last with a bedraggled book discarded by the Breton Downs Library and found at a thrift bookseller, I instantly knew why Chwast had so fondly and resolutely chosen this forgotten gem as the favorite of a lifetime — it was a sweet, subversive parable about the tradeoffs of creativity and commerce, the messy relationship between success and life-satisfaction, the treacherous way in which prestige can hijack our sense of purpose, and what happens when a personal labor of love becomes a “brand.” A story, in other words, both timeless and immensely time today, when the integrity of every creative life is bending under the ever-growing pressures of bigger-better-faster. 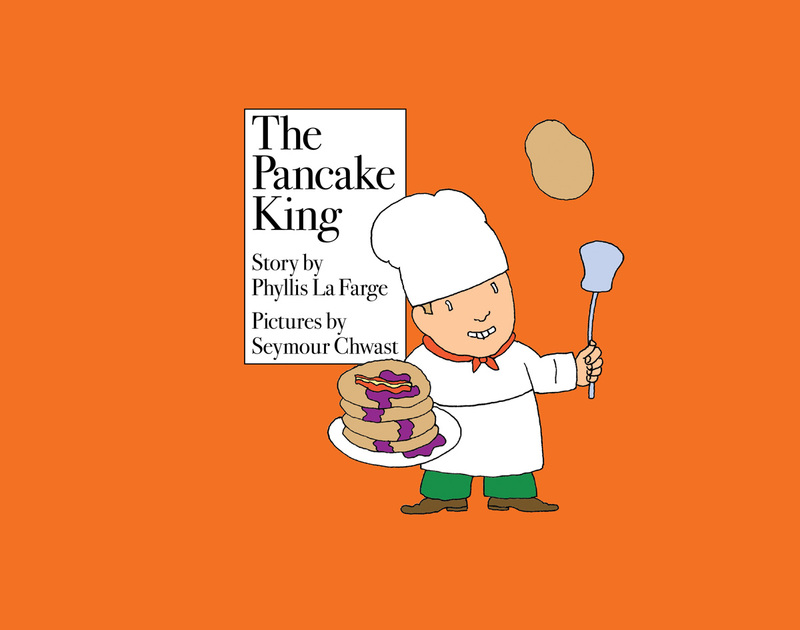 So imagine my enormous gladness at the news that Princeton Architectural Press is bringing The Pancake King (public library) back to life as part of the same vintage children’s book revival series that also resurrected the marvelous The Brownstone by graphic design legend (and, incidentally, Chwast’s spouse of four decades) Paula Scher. Albert Einstein (March 14, 1879–April 18, 1955) is celebrated as “the quintessential modern genius” and his groundbreaking discoveries have changed the course of science, but he was also a man of enormous and thus inescapably fallible humanity, whose confusion and conflictedness were inseparable from his genius. This seething cauldron of brilliant complexity is what Swiss writer, economist, historian, and psychoanalyst Corinne Maier and French illustrator Anne Simon explore in Einstein (public library) — the third installment in their series of illustrated biographies of thinkers who have shaped modern life, following Freud and Marx. 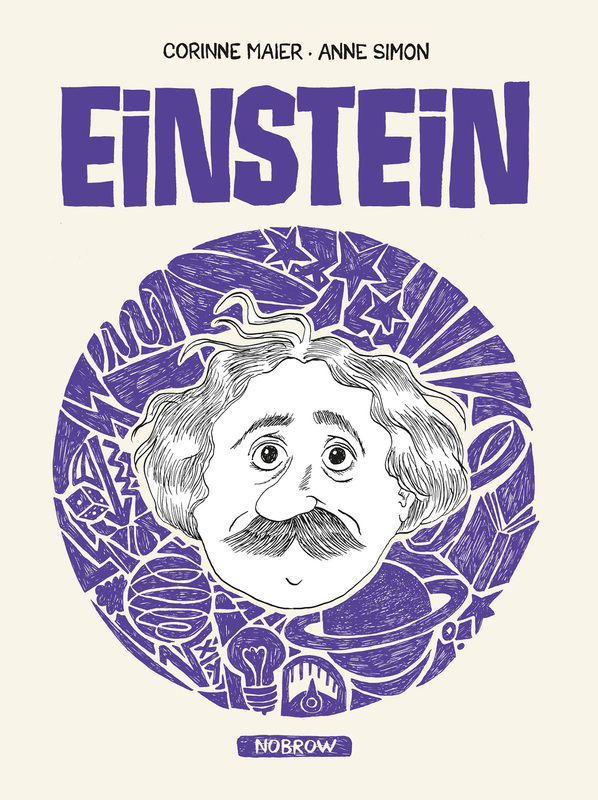 From Einstein’s formative childhood experiences to his arrival in America, from his annus mirabilis to his Nobel Prize, from his views on religion to his civil rights activity, the graphic novel unfolds with elegant simplicity of language and intelligent playfulness that would have delighted Einstein, who was known for his irreverent wit. In the late 1950s, children’s book author Ann Rand collaborated with her then-husband, the graphic design legend Paul Rand, on a series of unusual and imaginative children’s books — Sparkle and Spin and I Know a Lot of Things. Even after they divorced in 1958, they continued working together and published the loveliest of their collaborations, Little 1, in 1961. After Rand’s death in 2012, a marvelous unpublished manuscript of hers from the 1970s was discovered — a most unusual concept book, partway between graphic design primer, Norton Juster’s The Dot and the Line, and Umberto Eco’s vintage semiotic children’s books, exploring how our imagination combines lines and shapes to build an entire world. Four decades later, this forgotten masterpiece is brought to life as What Can I Be? 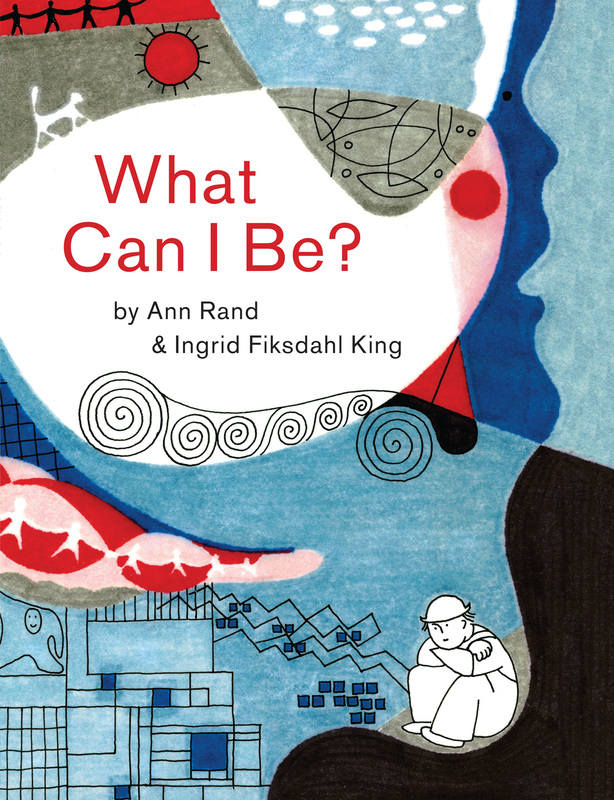 (public library) with stunning illustrations by painter and architecture professor Ingrid Fiksdahl King. It is hardly a coincidence that King co-authored the 1977 architecture and urbanism classic A Pattern Language — a pioneering inquiry into how the elements of urban design and their arrangement form the patterns that compose the language of community livability. It is our ability to imagine, after all — to combining basic elements into a language of the possible — that makes life livable. 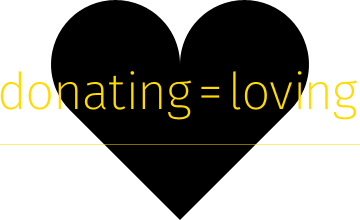 With simple, inviting words, Rand constructs a poetic game of possibility. 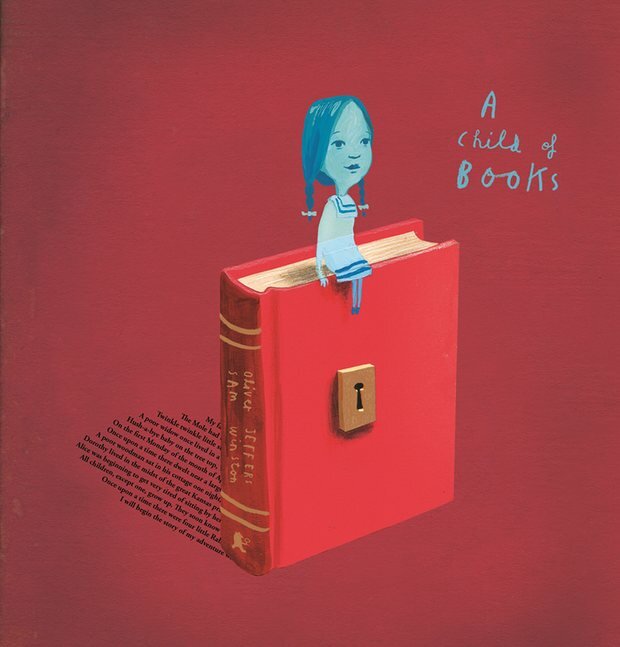 Step into the cultural time machine with selections for the best children’s books of 2015, 2014, 2013, 2012, 2011, and 2010. “Music is at once the most wonderful, the most alive of all the arts,” Susan Sontag wrote, “and the most sensual.” A century earlier, Friedrich Nietzsche put it even more bluntly: “Without music life would be a mistake.” The question of why music holds such unparalleled power over the human spirit is an abiding one and, like all abiding existential inquiries, it holds particular appeal to philosophers. Another century earlier, Arthur Schopenhauer (February 22, 1788–September 21, 1860), a compatriot of Nietzsche’s and a major influence on him, contemplated this very question in the first volume of his masterwork The World as Will and Representation (public library) — one of Oliver Sacks’s favorite books, cited in his magnificent Musicophilia. Music … stands quite apart from all the [other arts]. In it we do not recognize the copy, the repetition, of any Idea of the inner nature of the world. Yet it is such a great and exceedingly fine art, its effect on man’s innermost nature is so powerful, and it is so completely and profoundly understood by him in his innermost being as an entirely universal language, whose distinctness surpasses even that of the world of perception itself, that in it we certainly have to look for more than that exercitium arithmeticae occultum nescientis se numerare animi [“an unconscious exercise in arithmetic in which the mind does not know it is counting”] which Leibniz took it to be… We must attribute to music a far more serious and profound significance that refers to the innermost being of the world and of our own self. Music is as immediate an objectification and copy of the whole will as the world itself is, indeed as the Ideas are, the multiplied phenomenon of which constitutes the world of individual things. Therefore music is by no means like the other arts, namely a copy of the Ideas, but a copy of the will itself, the objectivity of which are the Ideas. For this reason the effect of music is so very much more powerful and penetrating than is that of the other arts, for these others speak only of the shadow, but music of the essence. The inexpressible depth of all music, by virtue of which it floats past us as a paradise quite familiar and yet eternally remote, and is so easy to understand and yet so inexplicable, is due to the fact that it reproduces all the emotions of our innermost being, but entirely without reality and remote from its pain. In the same way, the seriousness essential to it and wholly excluding the ludicrous from its direct and peculiar province is to be explained from the fact that its object is not the representation, in regard to which deception and ridiculousness alone are possible, but that this object is directly the will; and this is essentially the most serious of all things, as being that on which all depends. How full of meaning and significance the language of music is we see from the repetition signs, as well as from the Da capo which would be intolerable in the case of works composed in the language of words. In music, however, they are very appropriate and beneficial; for to comprehend it fully, we must hear it twice. Music expresses in an exceedingly universal language, in a homogeneous material, that is, in mere tones, and with the greatest distinctness and truth, the inner being, the in-itself, of the world, which we think of under the concept of will, according to its most distinct manifestation. 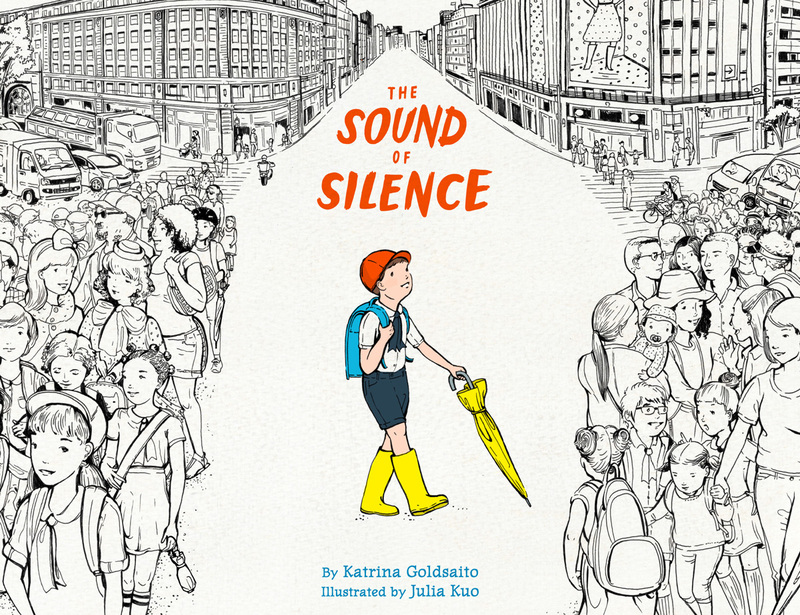 Complement this particular portion of the wholly invigorating The World as Will and Representation with other great thinkers on the power of music, Wendy Lesser on how music helps us grieve, and Aldous Huxley on why music sings to our souls, then revisit Schopenhauer on style and the significance of boredom.